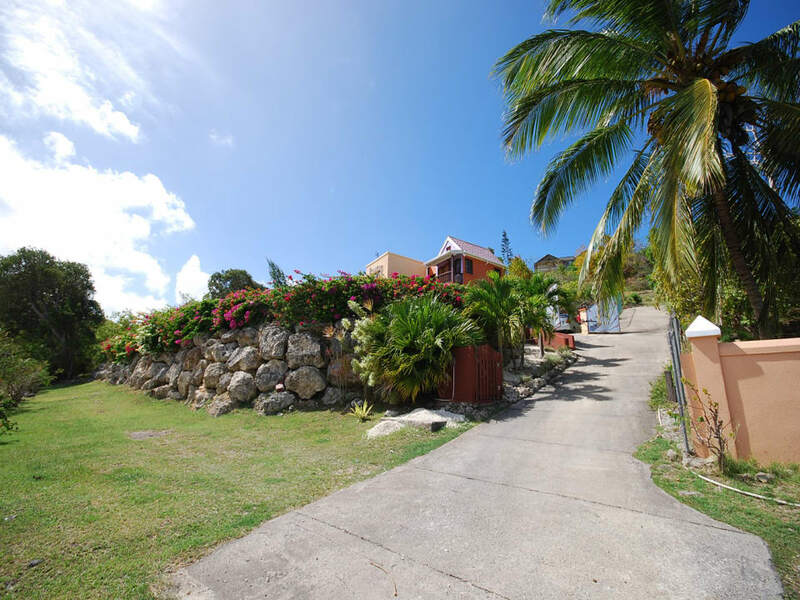 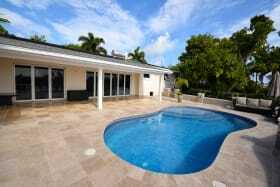 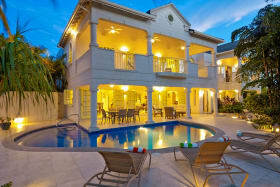 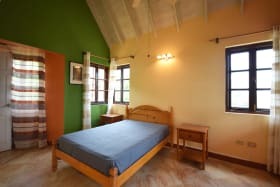 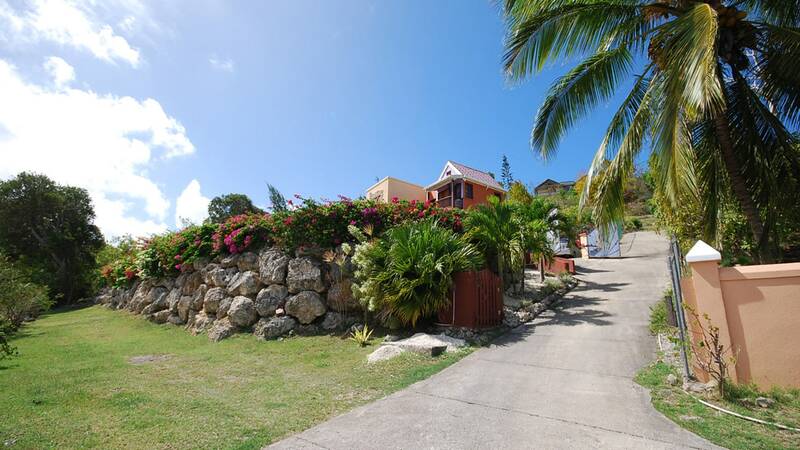 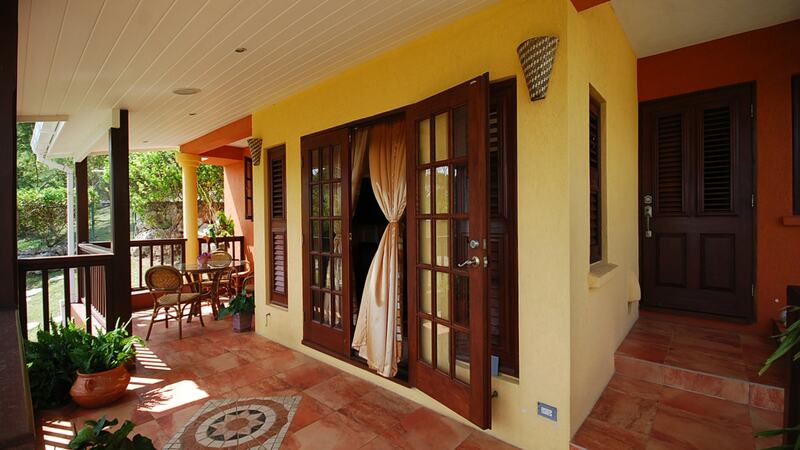 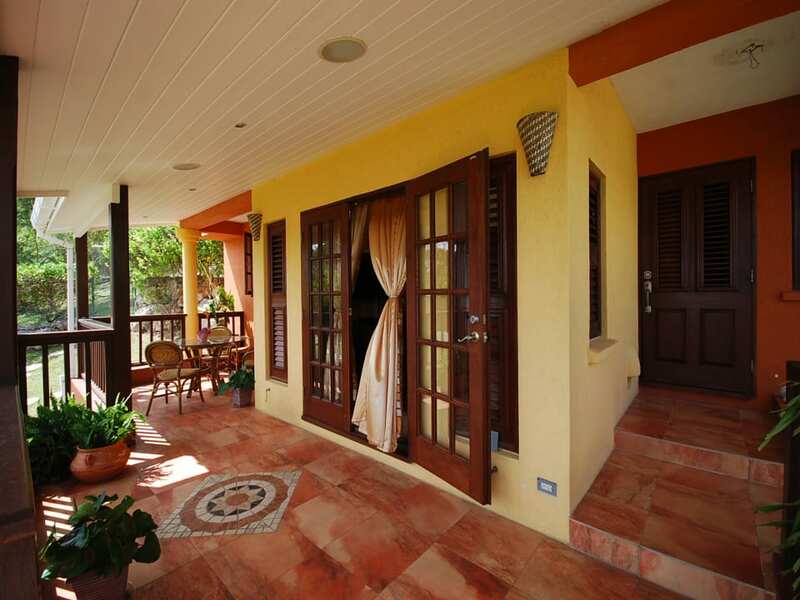 This beautiful Barbadian home was completed in 2006. 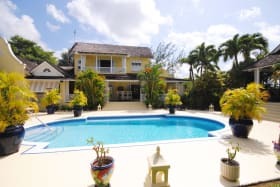 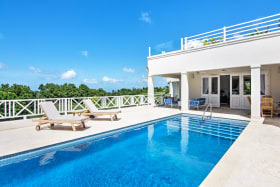 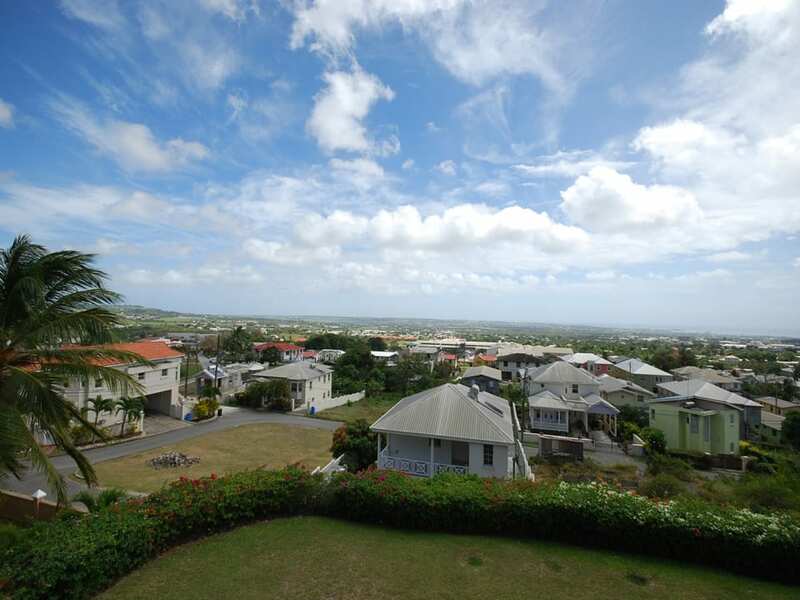 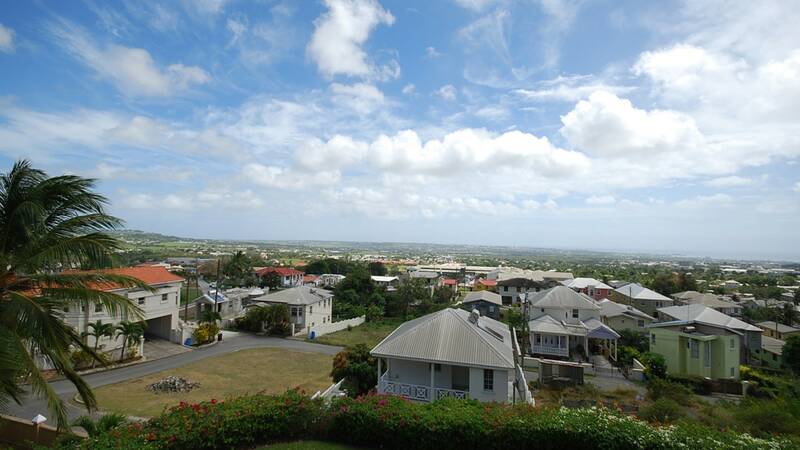 Built on a hill in Edghill Heights, it commands beautiful panoramic views of southern Barbados which can be enjoyed from three patios. 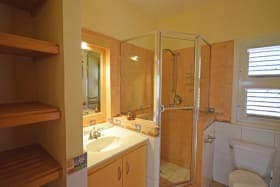 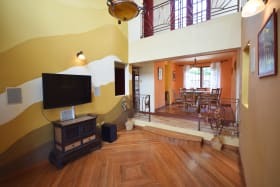 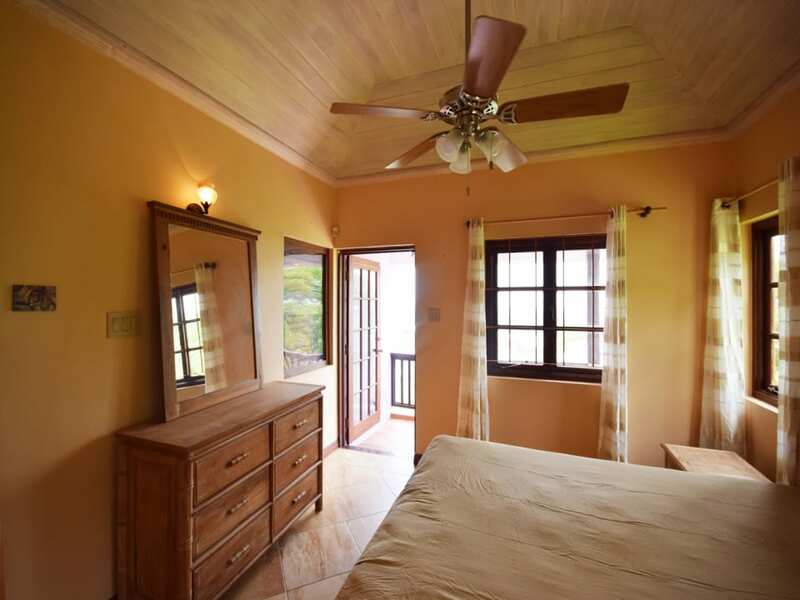 There are 3 bedrooms, all with en-suite bathrooms, two of which are upstairs, include walk-in closets, ceiling fans and open up to their own patios for enjoyment of the gorgeous view. 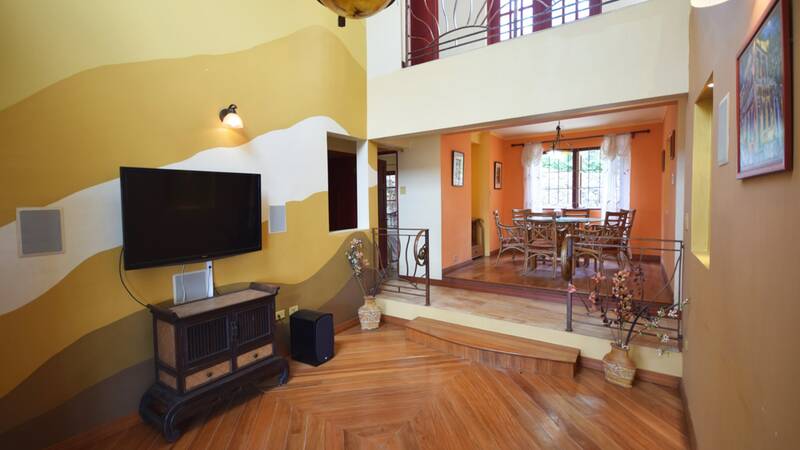 The atrium living room, which has AC, is a haven for art lovers and steps down to a large patio on the ground floor - great for entertaining. 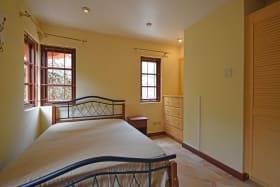 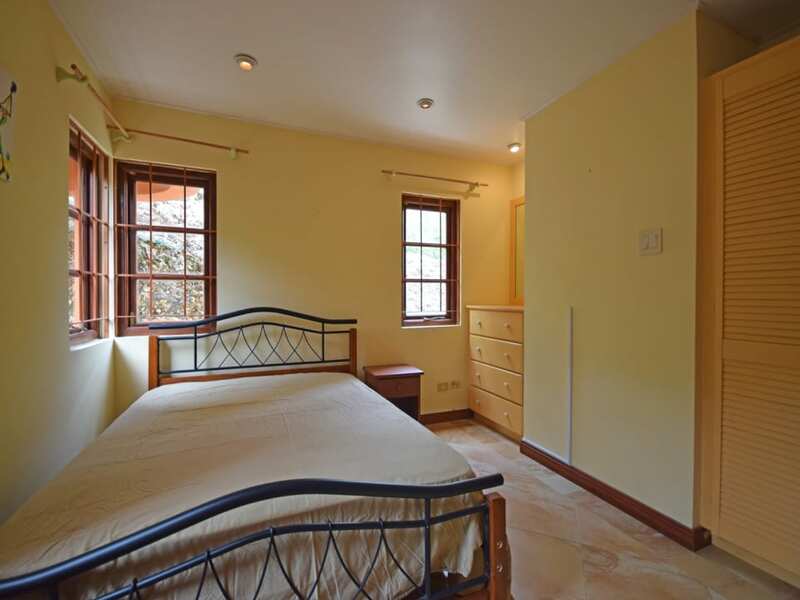 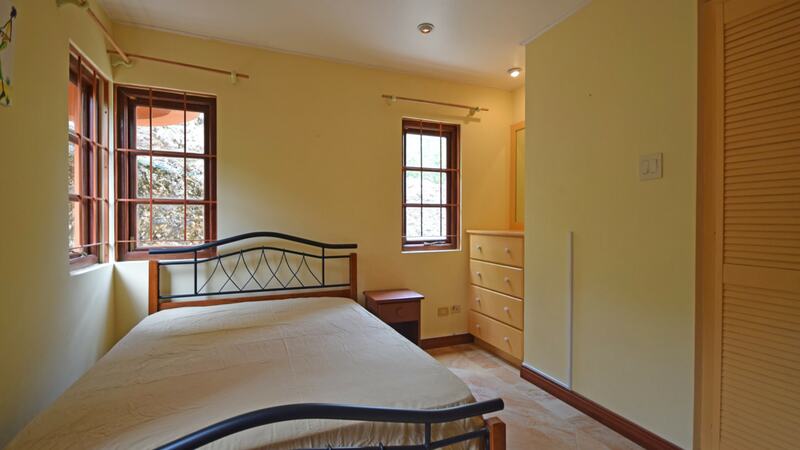 Other rooms include separate dining, kitchen, laundry and study downstairs and another private patio upstairs. 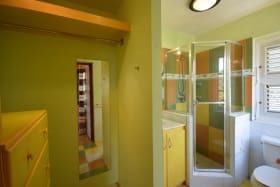 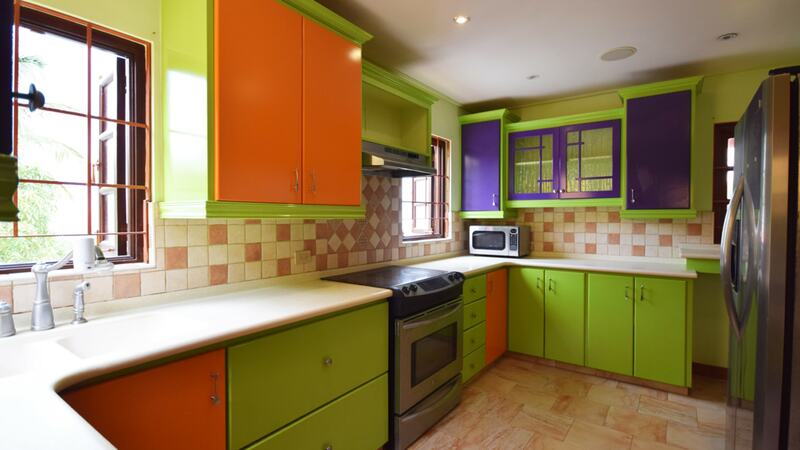 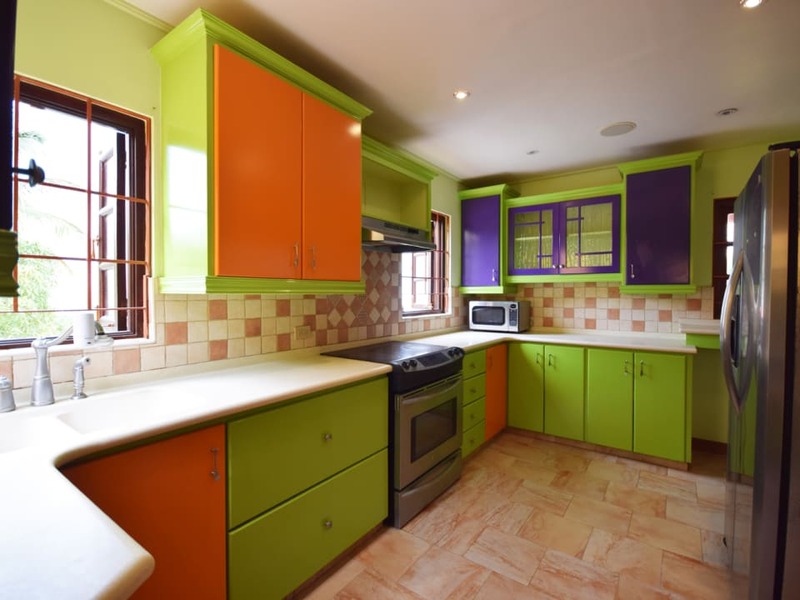 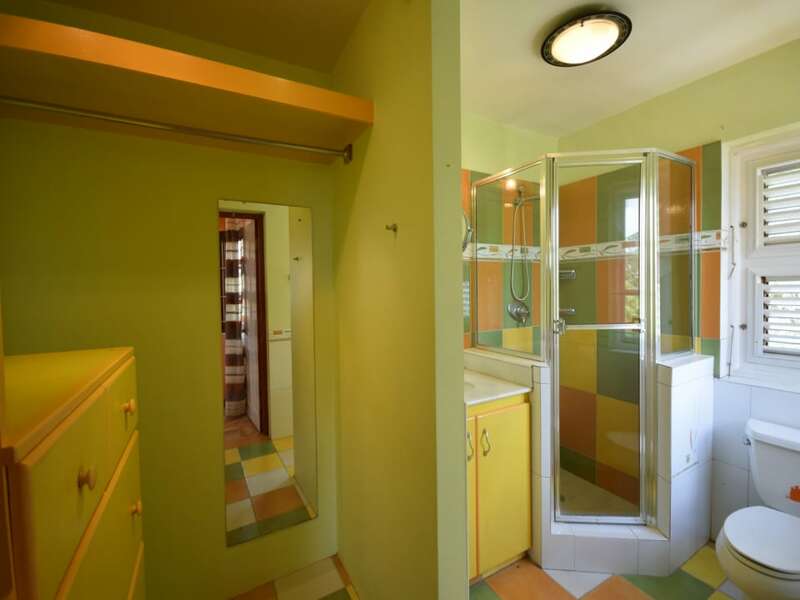 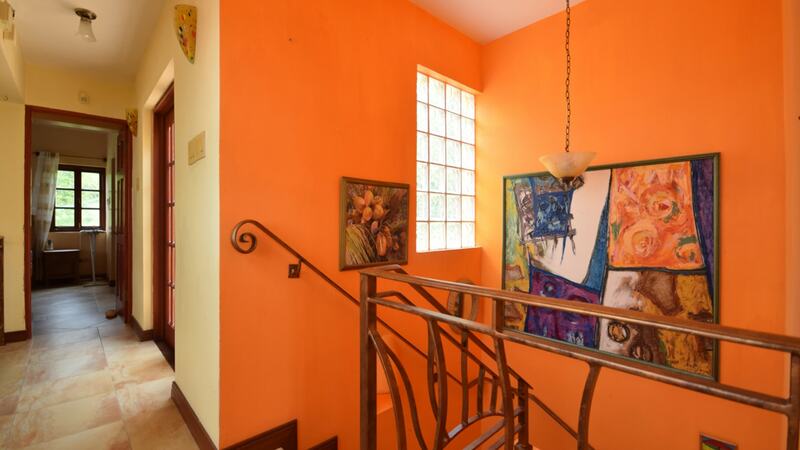 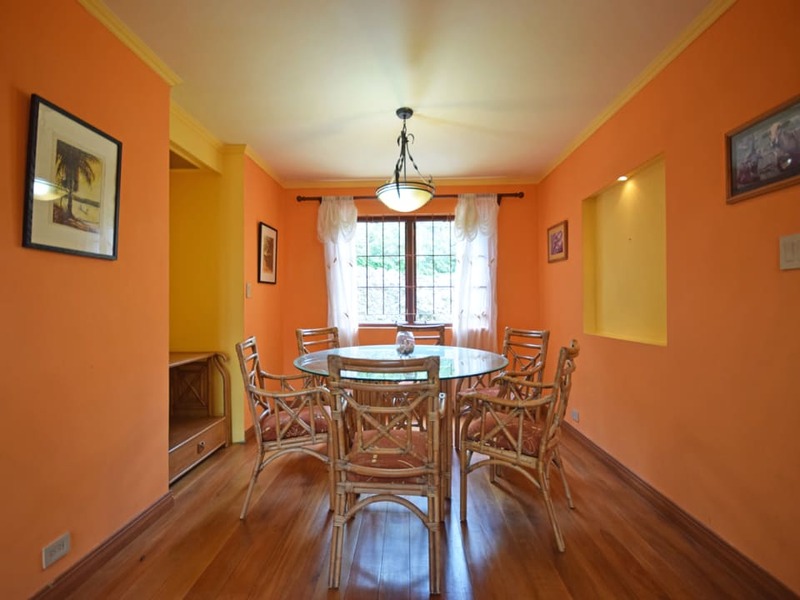 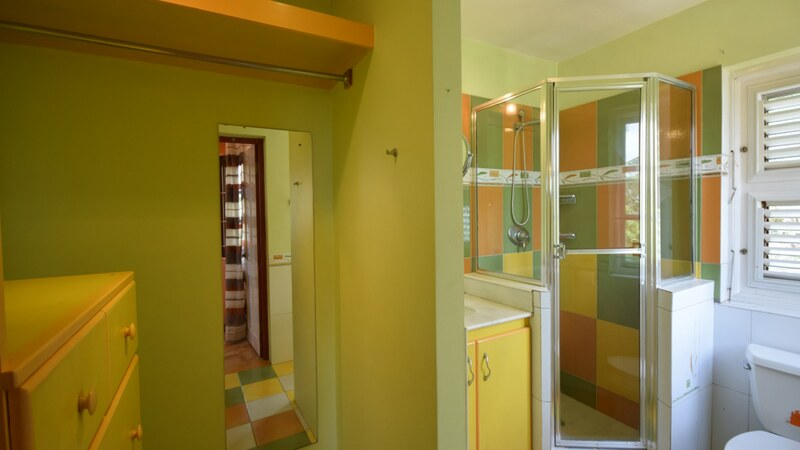 The interior finishes are exquisitely artistic and the emphasis is on colour throughout. 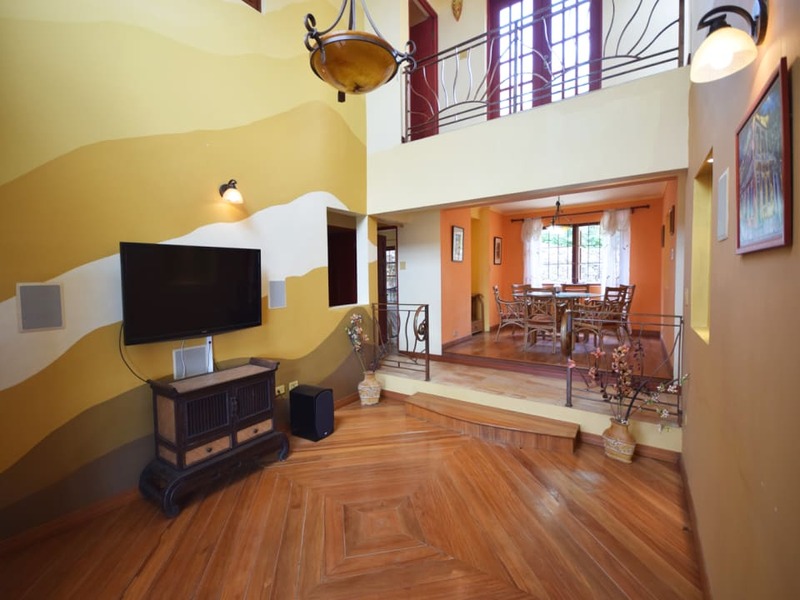 Porcelain tiles cover all floors except for the living and dining rooms which are wooden. 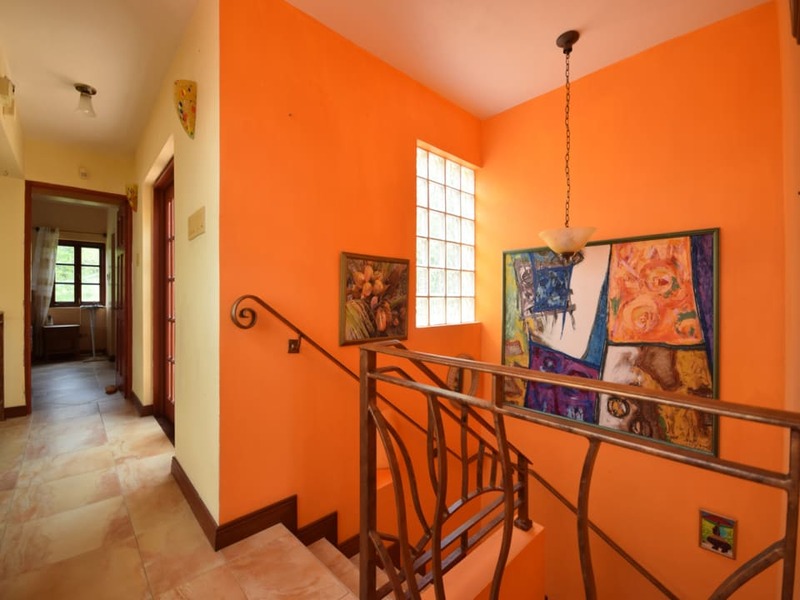 The lighting system includes down-lighting fixtures with dimmers in many rooms. 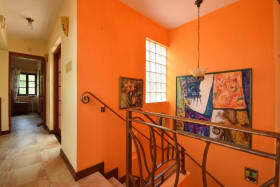 Rental rate: Bds$3,500 fully furnished (including artwork) and garden maintenance. 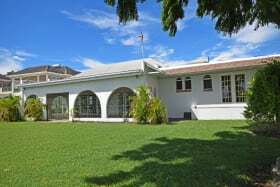 There is a water tank on the property. 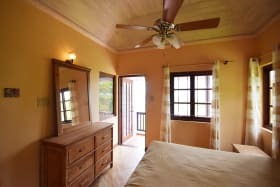 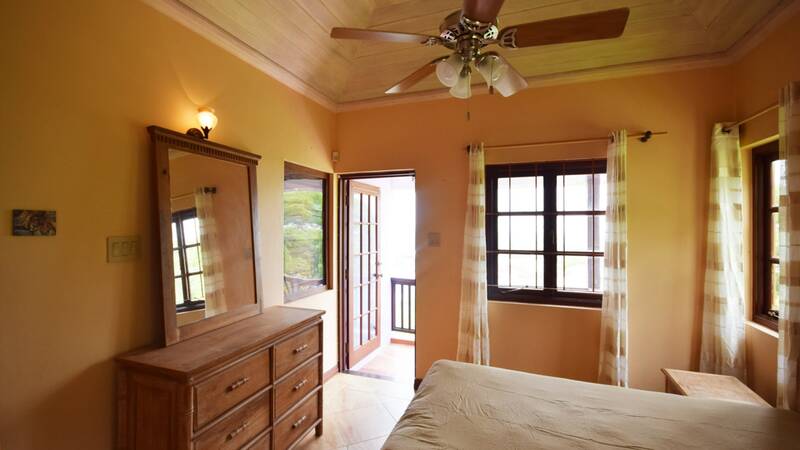 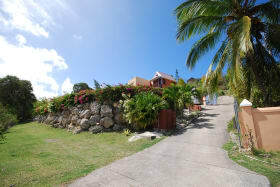 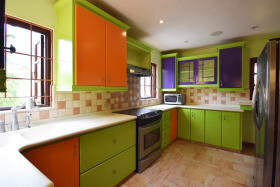 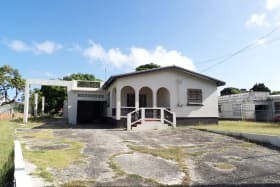 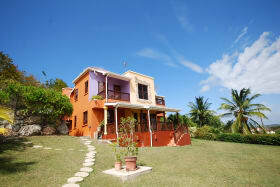 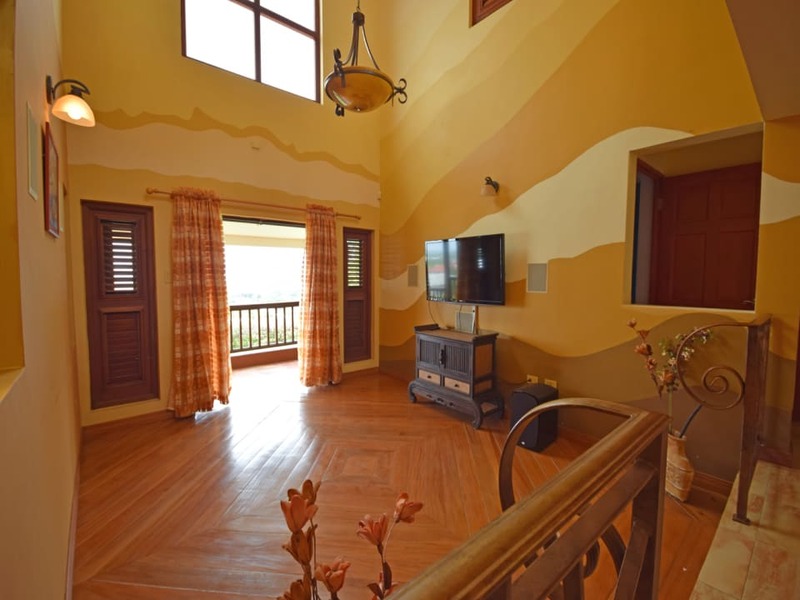 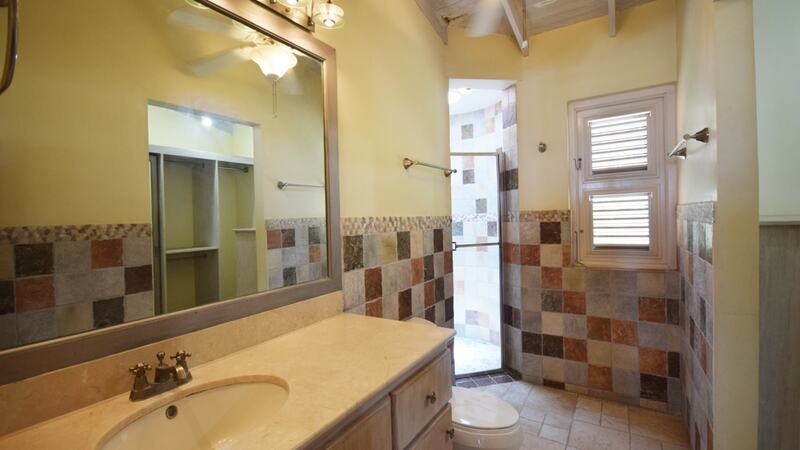 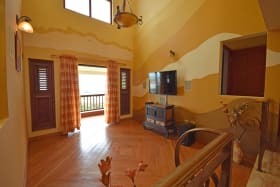 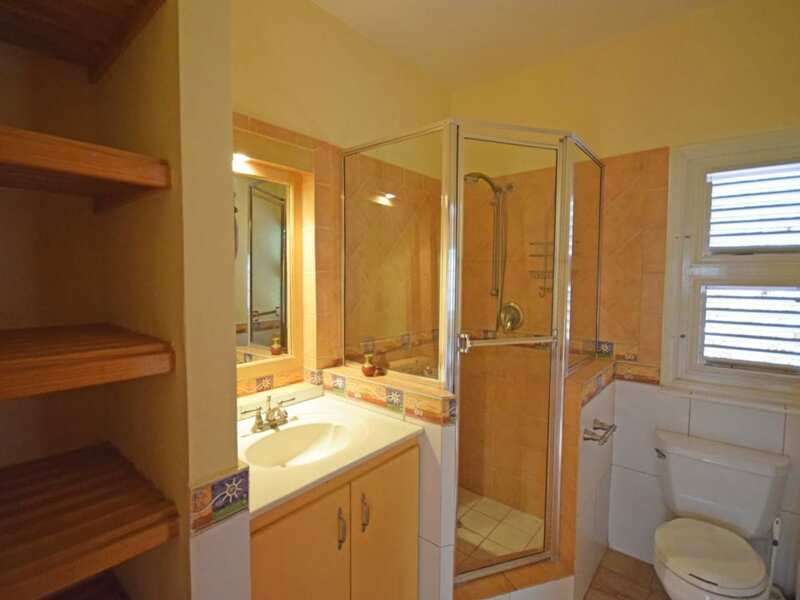 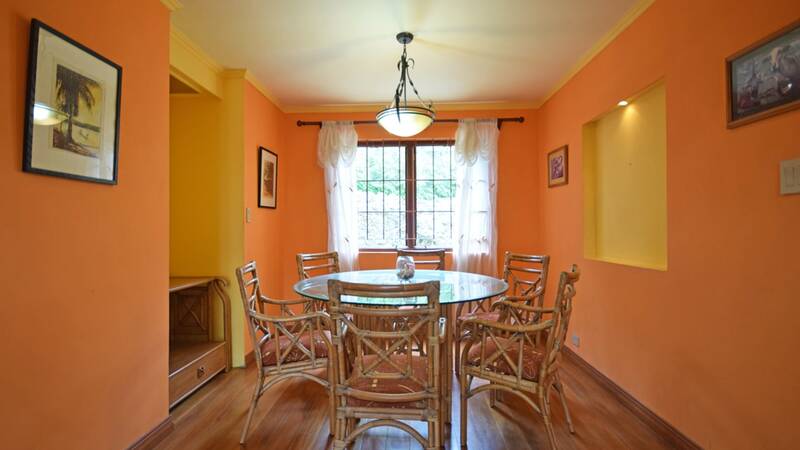 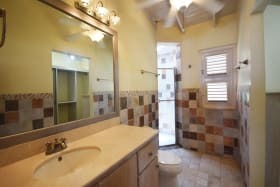 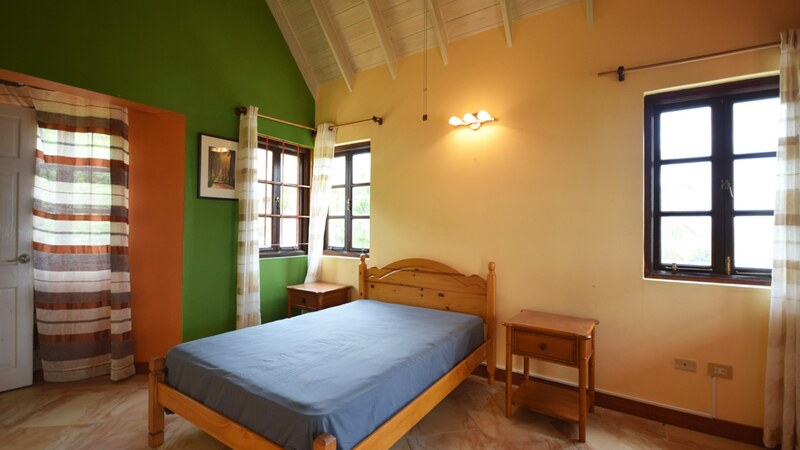 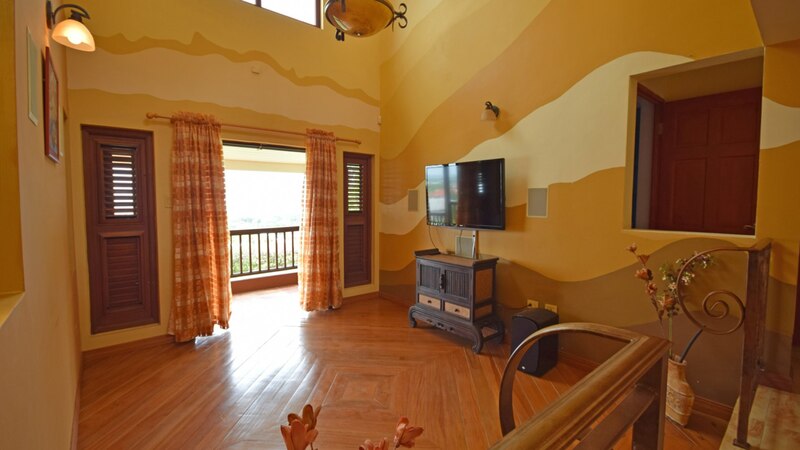 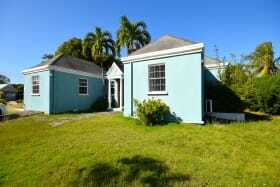 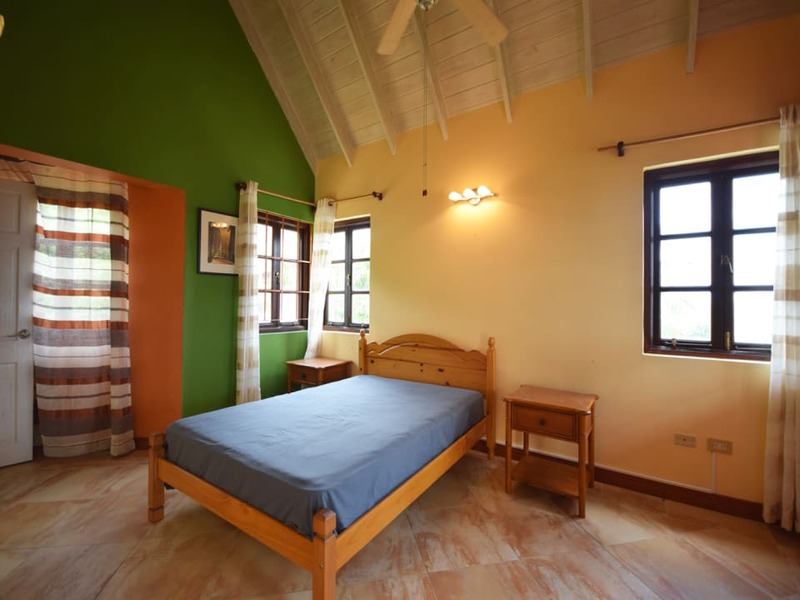 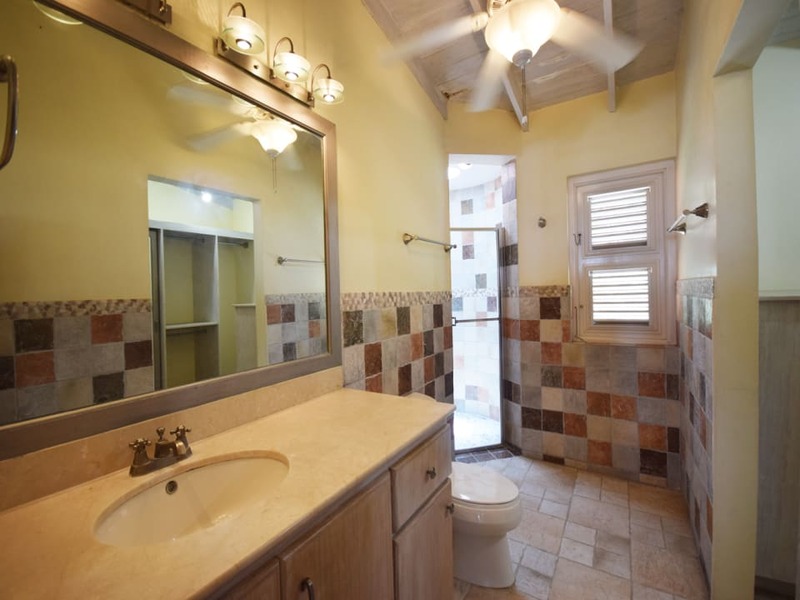 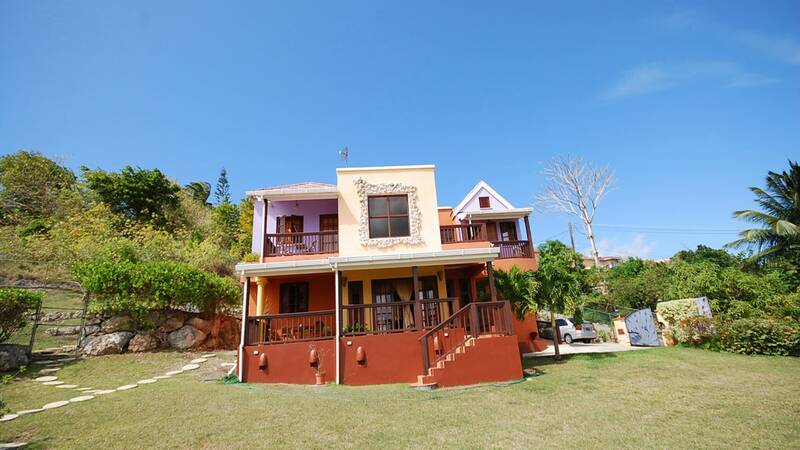 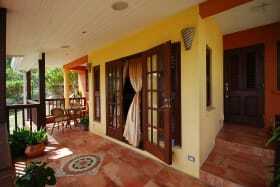 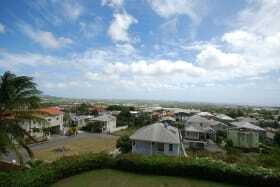 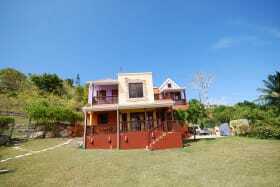 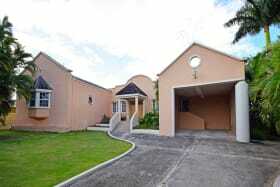 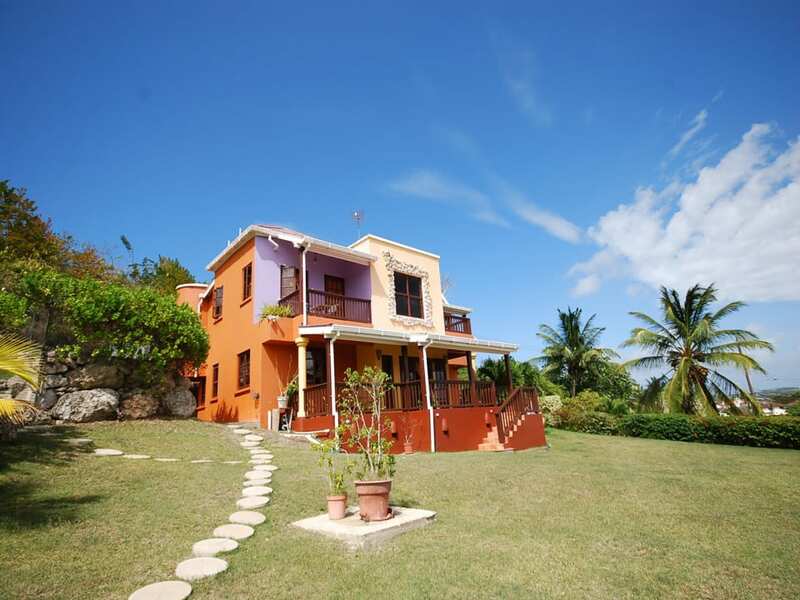 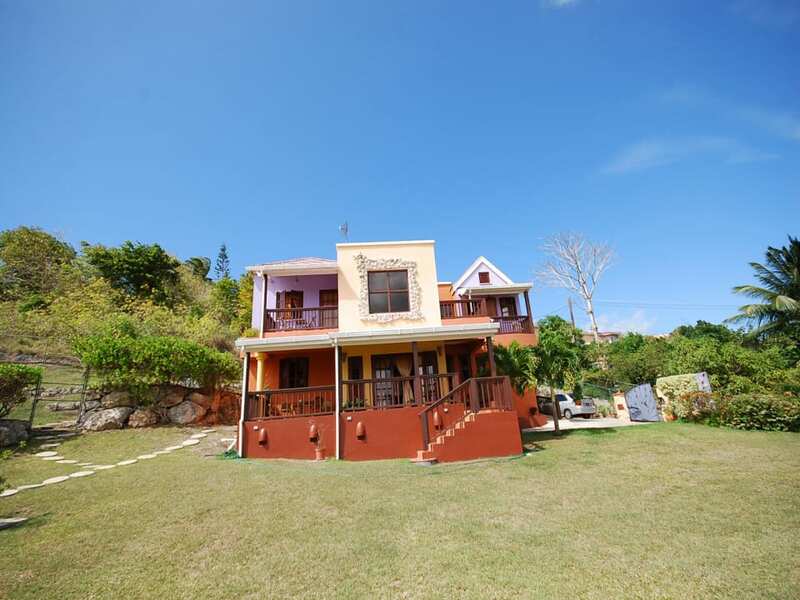 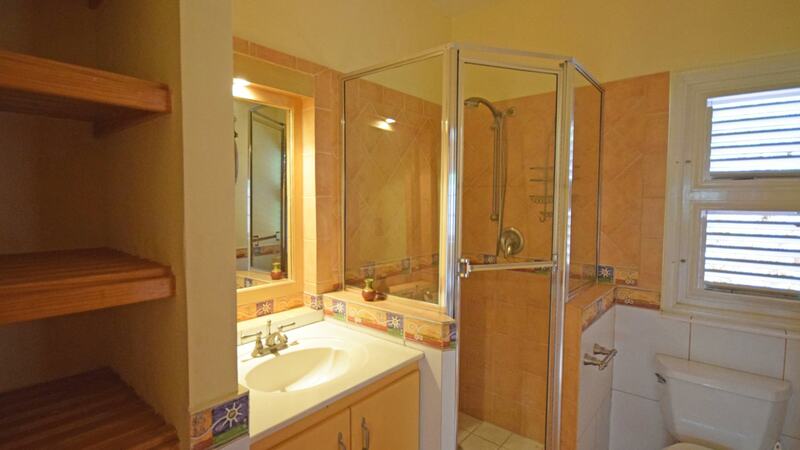 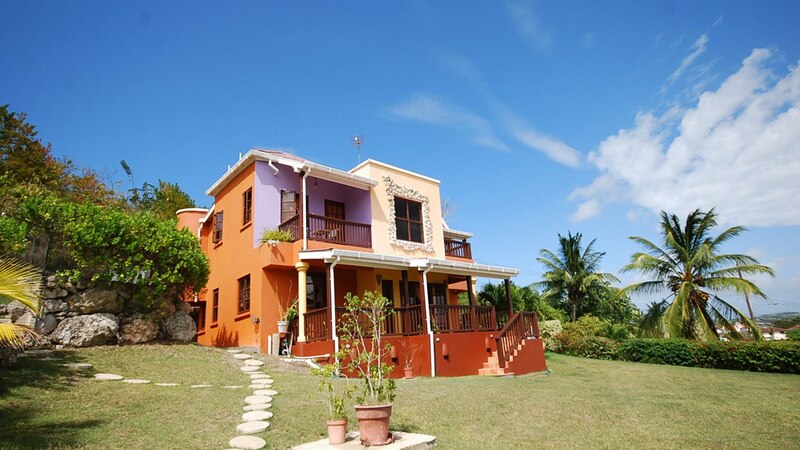 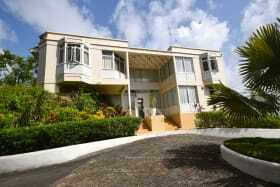 This home is 5 mins from Warrens commercial area and 10 mins from Holetown.